A Dutch man has set the record for the world’s most complex “Rubik’s Cube-type twisty puzzle.” (Didn’t know there was a record for that kind of thing? Neither did we!) Here’s the cool part: It came out of a printer. Personally, we’re less interested in how you solve this thing — we can barely tackle a basic Rubik’s Cube, let alone one that makes quantum physics look like fingerpainting — than in how van Deventer made it. Over the Top, as the puzzle’s called, was 3-D printed in 1,539 individual tiles of white plastic. 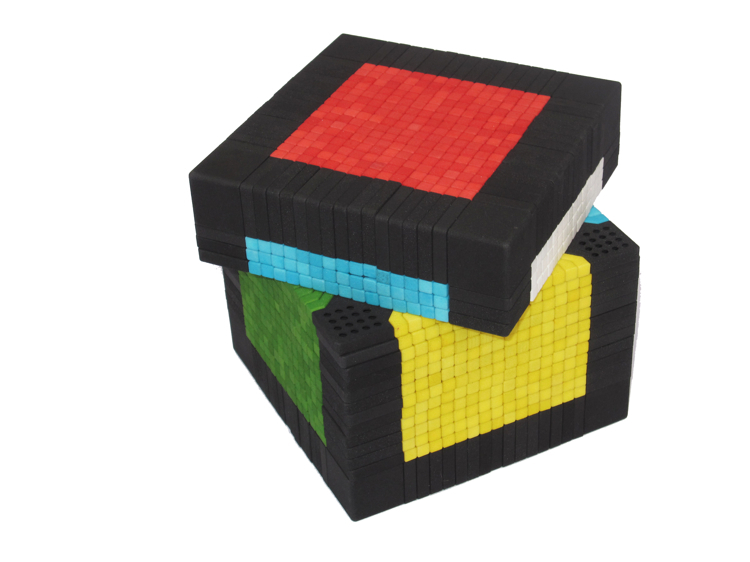 Each had to be sorted and hand-dyed, before pieced together, resulting in a fully functioning 5.5-inch cube. The design process, apparently, took 60 hours. Sorting and dying took 10; additional labor, five. Sounds like an awful lot of work for something you’ll just want to throw across the room. And the puzzle ain’t cheap: $2,000 gets you a DIY kit through Shapeways’s website. Yoikes. We might hold out for the infinity model.